A great news for New Westminster City, from Texas Tech Slate Indoor Track Meet, in Lubbock, Texas. Nina Schultz, won the pentathlon with a new PB of 4502 points, ranked # 1 at NCCA D1, and # 7 in history of this events in USA. 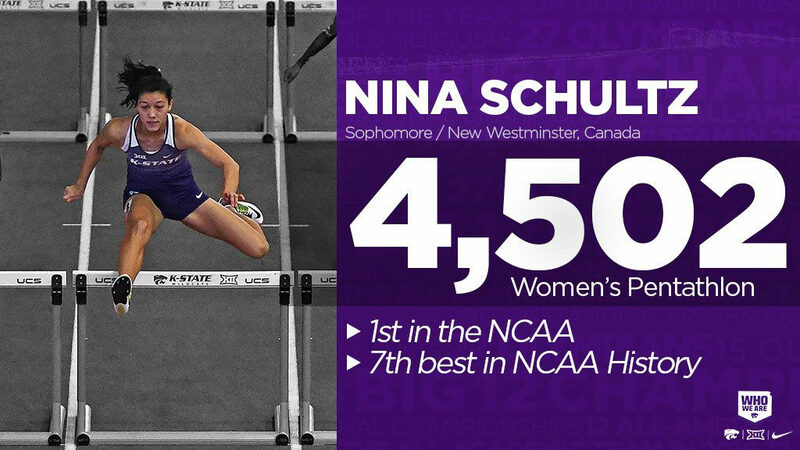 With this results, Schultz is # 1 in Canada, and # 2 in three other events, 60mHurdles,High Jump and Long Jump. She is ranked actually # 4, at 2018 IAAF World Senior List, only 2 points from # 3. Schultz, is looking towards the medal podium at Commonwealth Games in Gold Coast -Australia in April. On Saturday, Feb. 3, BC Athletics, organized the 2017 BC Athletics Awards Ceremony. 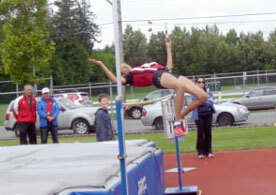 14 years old Spartans, Alicia Bremer, was the BC Athletics Award recipient for Midget category. 2018 Harry Jerome Indoor Track meet. Three New West Spartans athletes, open the 2018 athletics season, running at Harry Jerome Indoor Track Meet, on Saturday, Feb.3, at Richmond Oval. Ephrem Mekkonen, run for the first time at indoor competitions a strong race of 1000m, winning the first place for junior category with the time of 2:46.65. Kristie Elliot, demonstrated a perfect hurdling technique in 60mHudles, finishing second, with a silver medal for the Junior category, with the time of 9:68. Jasmin Randhawa, run for the first time a track and field competitions at Jerome Indoor track Meet. He did a strong 60m dash with the time of 7.97 sec. Congratulations to all New West Spartans athletes for their achievements. Photos courtesy of 2012 Canadian Legion Championships, and Kansas State Athletics. This entry was posted in General on February 13, 2018 by webmaster.